Learn about foodborne illness to prevent it and how to train employees in food sanitation. 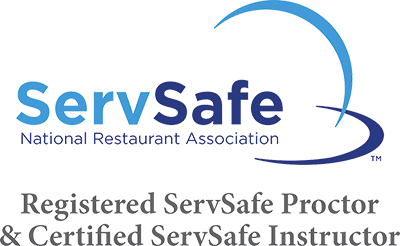 A comprehensive solution that delivers consistent food safety training to employees. Learn the essentials of responsible alcohol service. Protect yourself and your operation from risks and liabilities. This course meets the State of Massachusetts requirements for allergen certification. This course meets the State of Rhode Island requirements for allergen certification. This course not only meets, but exceed the State of Massachusetts choke saving requirement. This course is designed for food manufacturers and processors. Find out where your class or exam is being held. Our live classes provide you the best training and take your exam the same day. Have the convenience of online training and take your exam at one of our live classes.